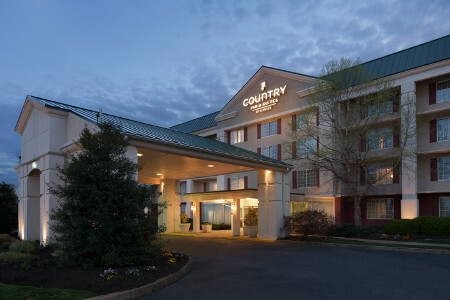 Book a room at the Country Inn & Suites® by Radisson, Fredericksburg South (I-95), VA to be just minutes away from Civil War battlefields, historic mansions and contemporary drag racing tracks. 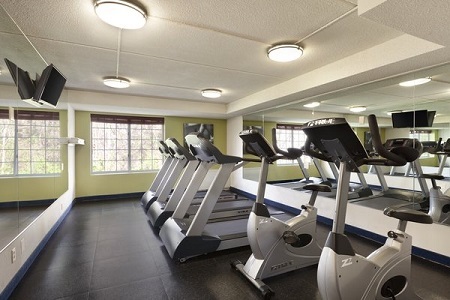 Midway between Richmond and Washington, our location gives you easy access to shops and eateries right off I-95. Pile your plate with a syrup-coated waffle and fruit-topped yogurt at our complimentary, hot breakfast. For lunch or dinner, grab an American diner special at the adjacent Denny’s or head out to other nearby restaurants like Pancho Villa or Ruby Tuesday’s. Fredericksburg & Spotsylvania National Military Park – About six miles northwest of our hotel, this national park honors the soldiers who died in four of the Civil War’s most important battles. Hike the battlefield, take a guided tour or attend a living history reenactment. Dominion Raceway & Entertainment – Drive about 10 miles south for drag racing, car shows and NASCAR Home Track Series racing. This complex is also the place to see a variety of festival-style concerts throughout the year. Mary Washington House – Tour the home of George Washington’s mother, Mary, located less than 15 minutes from our hotel. You can’t chop down a cherry tree, but you can see Mary’s original kitchen, vibrant gardens and authentic 18th-century artifacts. 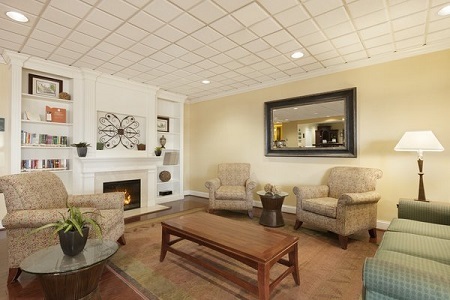 Read more about our hotel’s Spotsylvania, VA location. Usher up to 170 guests into our flexible meeting space for business meetings or social events. Our dedicated staff can help make your gathering a success by offering free high-speed Internet access, a personalized Country Inn & Suites Web page and catering recommendations.